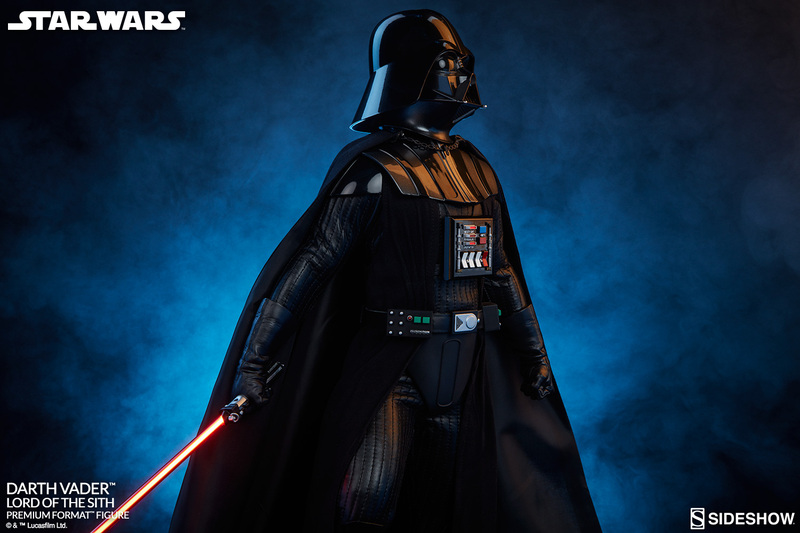 Ruthless and powerful, Darth Vader stands at the height of his power in Sideshow Collectibles Darth Vader Lord of the Sith Premium Format Figure Star Wars collectible. 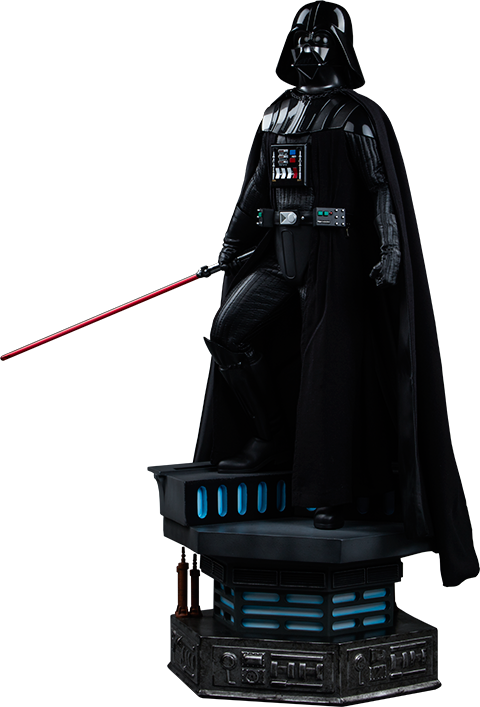 Inspired by one of the most climactic duels in cinematic history, Darth Vader descends the steps of a Death Star themed base. 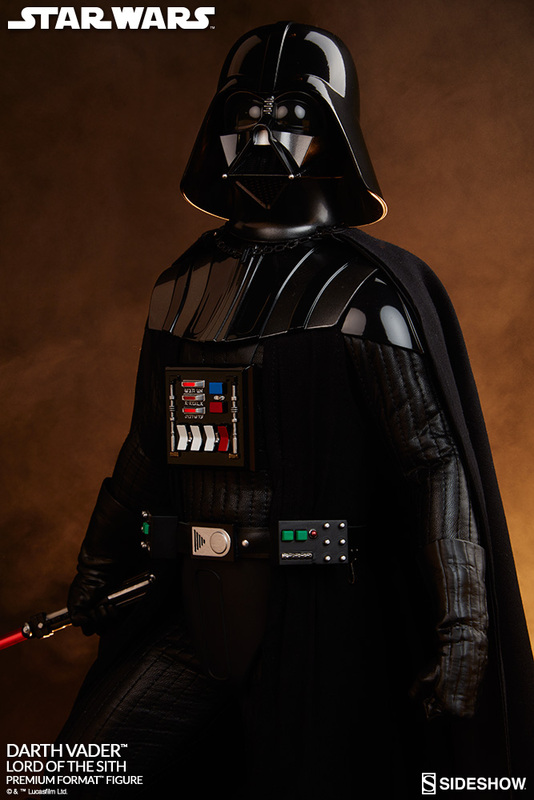 With his light-up crimson lightsaber at the ready, the commanding villain is prepared to engage in mortal combat and claim victory for the Galactic Empire. 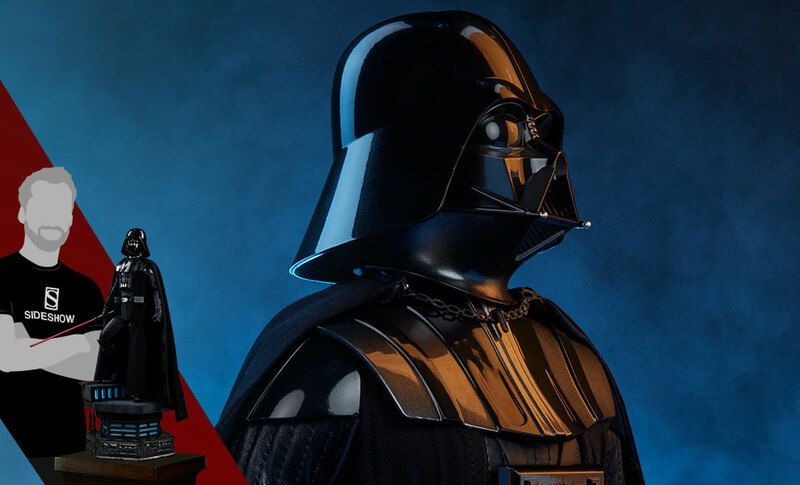 Every detail of the Sith Lords costume, from his iconic helmet to his sweeping black cape, have been faithfully recreated as seen on screen in Star Wars Episode VI: Return of the Jedi. 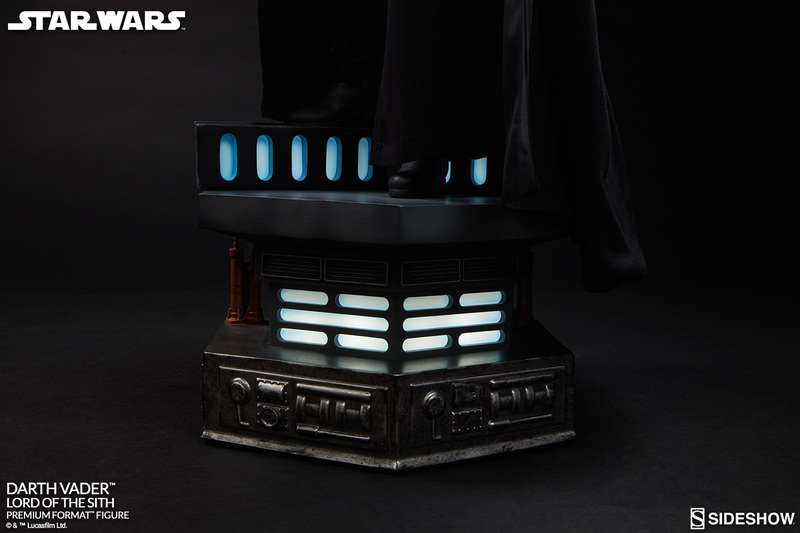 The height and composition of this impressive piece make it an ideal companion to Sideshows Boba Fett Premium Format Figure, and the perfect centerpiece of any Star Wars collection! Pay as little as $160.00/mo. He stands on the dresser at the foot of my bed and commands the room. The materiel and detail are so on point. I expect him to jump to life at any moment. 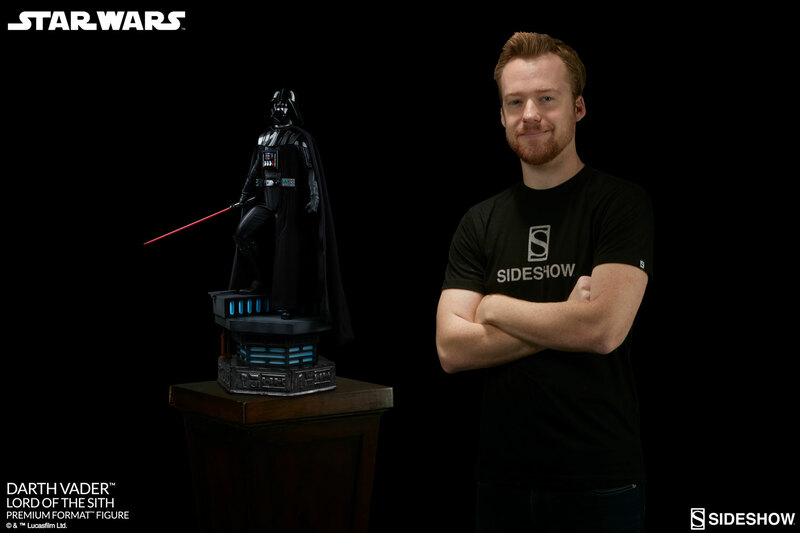 Thank you, Sideshow. Happy customer. Amazing Quality, I am new to collecting and is blown away by the material used. I recommend anyone add this one to their collection! Amazing detail! 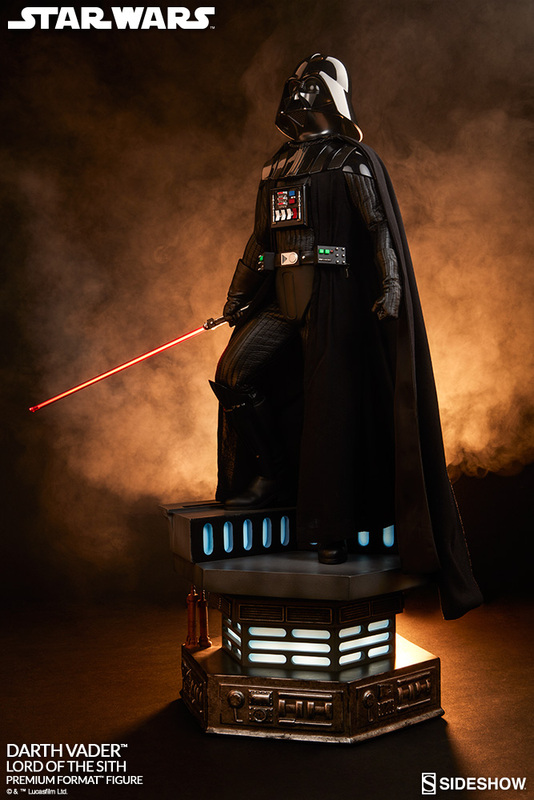 this is a Great statue of darth vader, one of my favorites in my collection, the statue in person is outstanding, the photo does no justice the statue, and it mere presents brightens your collection. This Premium Format Darth Vader figure is the 13th Sideshow in my collection, and certainly the most impressive; which is a significant statement. The detail is unreal, but I did not anticipate the sheer size and weight. Truly awesome. Got this piece to go along with my premium format Boba Fett ESB. They both get lots of talk when I have friends over for movie night at my house. This is my first premium format figure and I am hooked! I'm a Star Wars fanatic, and by far this is one of my favorite figures I own. 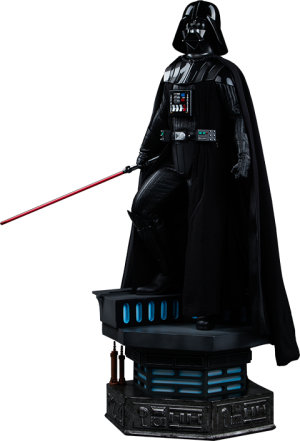 I can't wait for my Kylo Ren and Darth Maul later this year! 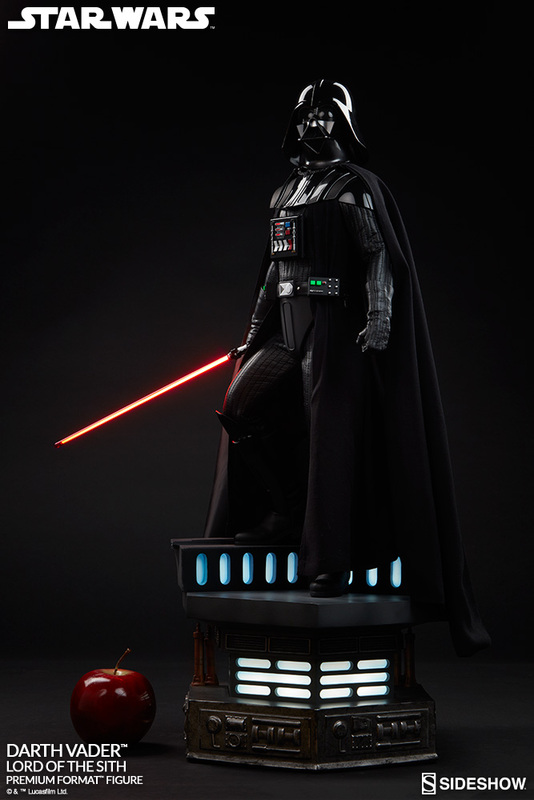 This is my first SideShow Premium Format Figure, and Darth Vader is just GLORIOUS. 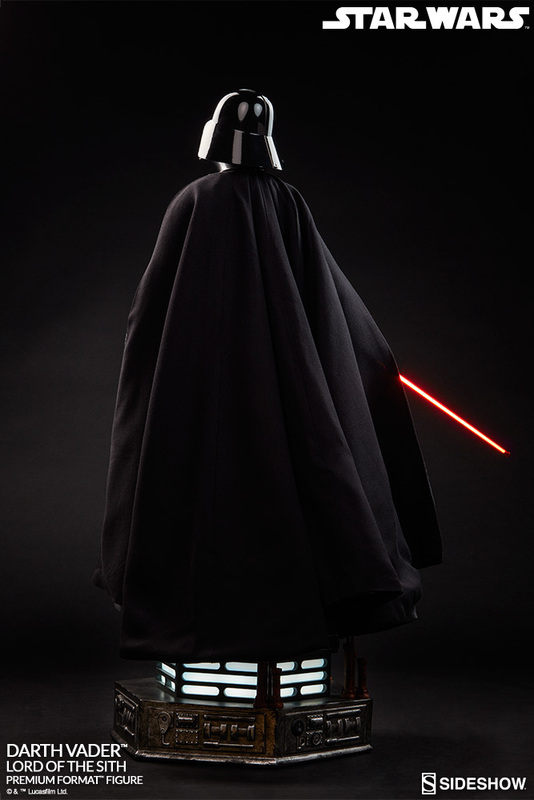 Amazingly detailed, really nice cloak and all cloth. 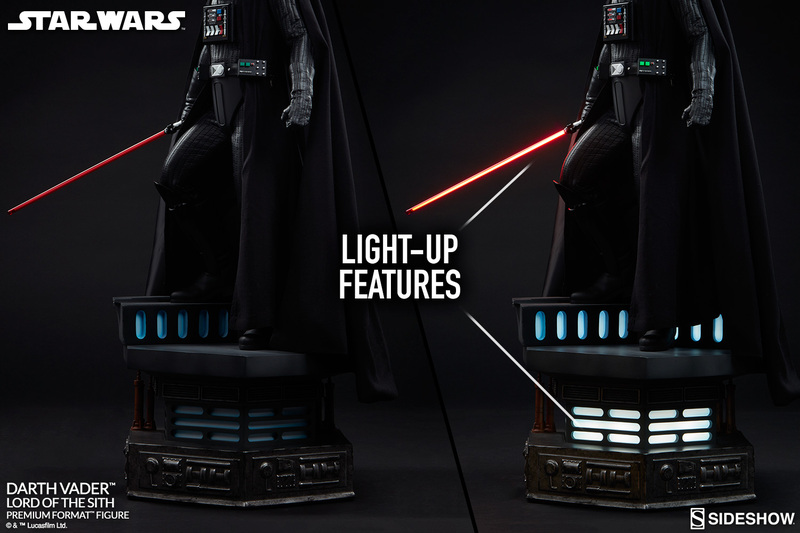 The lights are nicely done, especially the Death Star stand and the Light Saber. Waiting my Darth Maul exclusive this summer to truly begin my collection! Amazing! My first ever Sideshow item and I am hooked now. The amount of detail that is in this figure is just amazing. The light up features just put it over the top. Being the huge Star Wars fan that I am I can't wait to pick myself up a PF Death Trooper next. Would definitely recommend this figure! 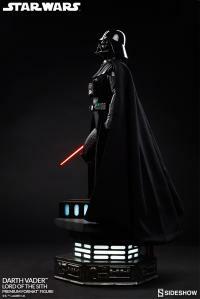 This is by far the best Darth Vader ever and it is the centerpiece for my collection. I am so very proud to own this wonderful statue. He is "STAR WARS". Thanks to all the artists that created this very special piece. I display it prominently in my living room as fine art because it is! 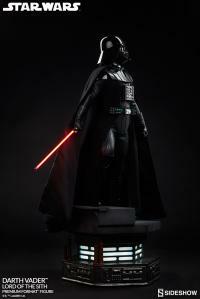 This is truly an amazing PF by Sideshow collectibles. I can't believe the amount of details that are in it. Just the light up features alone are pretty breatheraking at night with the lights off. Great job as always Sideshow can't wait to get my Kylo Ren and Darth Maul to display next to him. 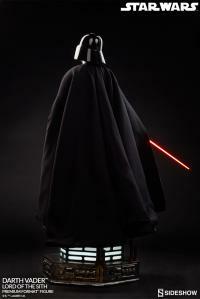 "As You Wish, My Master..."
Menacing, Intimidating, & Radiating w/Sith energy. 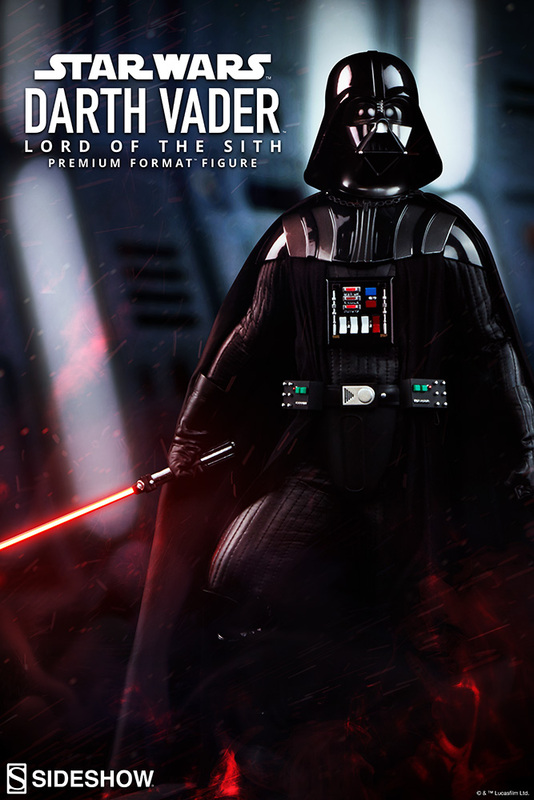 There's no conflict between good & evil with this piece - this is PURE VADER! 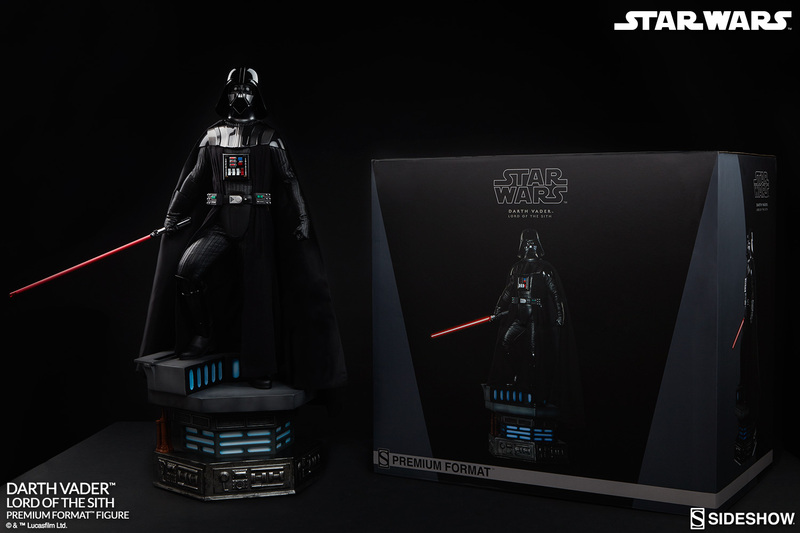 Awesome sculpt that will add energy to any collection. Only bummer is the "plastic head" portrait. Other than that - GET THIS PIECE! Thanks SS! 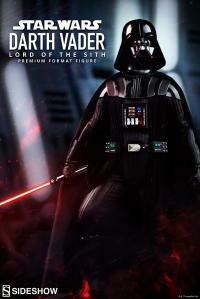 This is an awesome PF of Darth Vader. 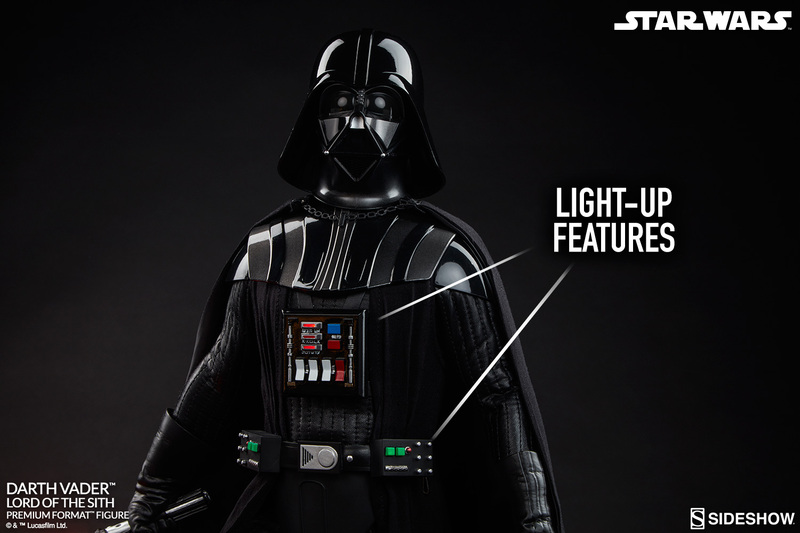 The lightsaber is very bright, and looks movie quality. 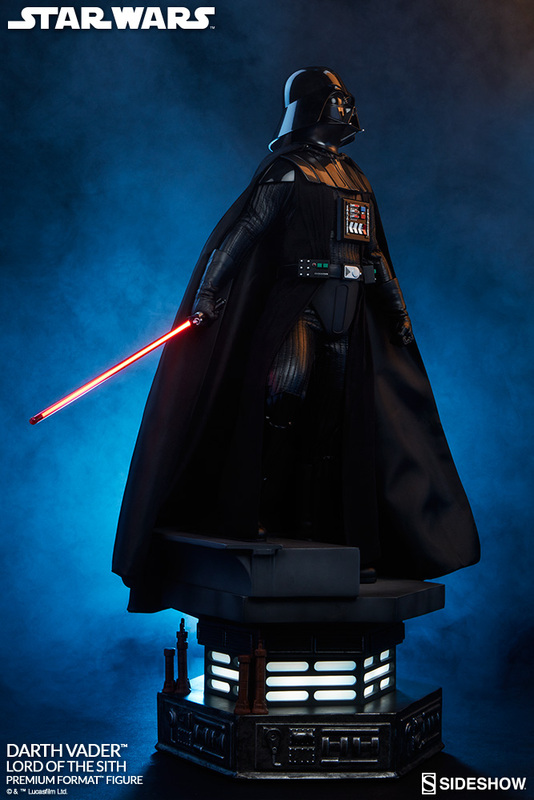 The lighting features of his uniform, along with a brightly lit base make this piece look great day or night. The clothing detail is fantastic as well. Looks amazing displayed with my Boba Fett PF. Just received my order and I am very pleased with the statue. Very Clean and nicely detailed. Now I am waiting on my PF kylo Ren so I can put it next to this piece. 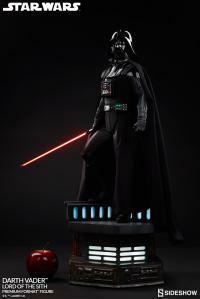 This premium format statue of Darth Vader is the biggest hit ever done! 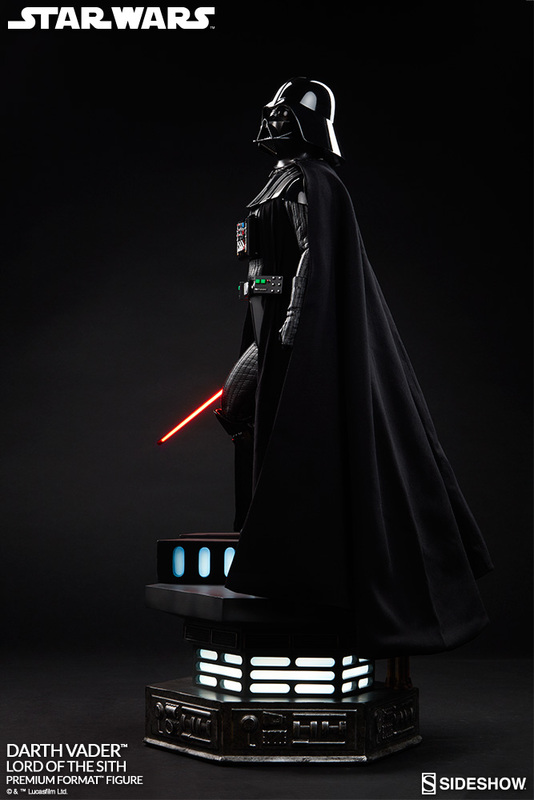 This statue shows the complete elegance and mystery of Vader. 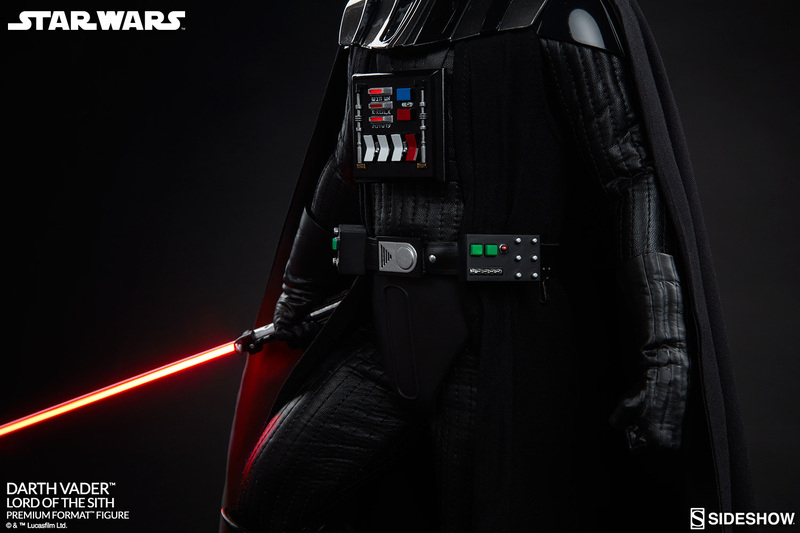 The light - up features are marvellous especially the bright red light of the saber. 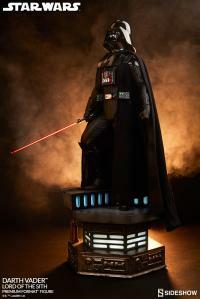 I'm very proud to possess this statue- the top of the top! This is an astounding statue. Truly a museum quality piece. I own many Premium Format statues but this is my favorite. Sideshow did an incredible job in creating this statue. The size, sculpt and paint is spot on. Thanks again Sideshow!! !